This is the third in a 5 part series on animals that made the Toronto news in 2012. While these stories are local, the issues they present are global, each one asking us to scrutinize and reassess our relationship with captive wild animals. What do you do if you can’t convince biomedical research facilities to stop experimenting on non-human primates? Well, one way would be to find a way to prevent the animals from ever reaching the labs. And to do that, a first step might be to convince cargo companies to stop transporting primates to research facilities. That’s exactly what PETA has been doing. As a result of the pressure from PETA and the public, in 2012 Air Canada became the latest to join a large group of airlines who have responded to activists and now refuse to transport primates for research. But the pressure on Air Canada began years before. 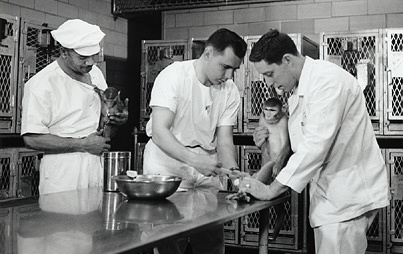 In 1994 the airline tried to refuse to carry monkeys from Barbados destined for a research lab. Responding to a complaint from The Primate Research Center and Wildlife Reserve of Barbados, the Canadian Transportation Agency (CTA) said the airline could not refuse the shipment because the animals didn’t impact the passengers. 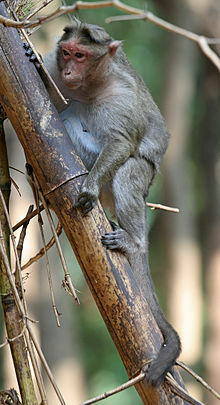 Finally, in December 2012, the CTA ruled that Air Canada is within its rights to refuse to transport the primates. The airline will now require all non-human primate shippers to sign a declaration that the animals are not intended for research or experiments. Clearly the airline had learned one lesson. The CTA based its decision, in part, on Air Canada’s convincing argument that it the loss of passengers who had threatened to boycott the airline would outweigh the possible income they earn from transporting the primates. As CTA required, the request was a business one, not an emotional one. Biomedical researchers and animal suppliers have felt the pinch of this and similar decisions. In the Air Canada case, official opposition came from Steven Liss, vice-principal of research at Queen’s University, and the Public Health Agency of Canada, who argued that refusal to transport research animals was discriminatory and did not take into account the well-being of Canadians, the country’s international competitiveness and its economic growth. Meanwhile, PETA told Nature that they plan put pressure on every major cargo carrier in the world – not just airlines, but ground carriers as well. And sure enough, they have been successful, convincing UPS, Fedex, and DHL to not ship “cruel cargo.” But ending the shipment of primates may not have the desired effect. It’s such a tough balance to achieve, trying to gain important medical insights from animal studies while not exploiting the animals themselves. I’ll be interested to watch this one going forward.